The whole of Chennai is a hub of technological advances especially in the field of Information Technology. 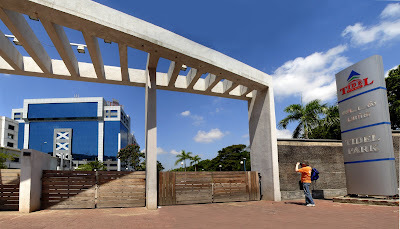 Tidel Park is a famous IT Park, established in the heart of the city. 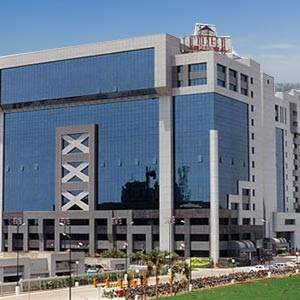 Tidal Park is ranked as the second largest software park in the whole of India, only with the renowned Technopark of Thiruvananthapuram topping the list. To accelerate the growth and development of Information Technology in Tamil Nadu, the Government agency TIDCO established it in 4th July 2000. It has a built-up area of 1.28 million sq. ft. with centralized air-conditioning and an independent power supply. The park provides state-of-the-art network connectivity with direct satellite uplink. Special arrangements have been built to make Tidal Park easily accessible by any one from outside. It is located in the renowned IT Highway, (formerly known as Old Mahabalipuram Road) in Taramani. This software park stretches up to quite a few acres of the urban lands of Taramani, just adjoining to the former film city of the state. It is well connected with every corner of the city. 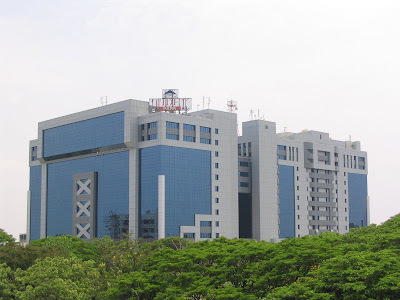 As a recent venture, the Government of Tamil Nadu has undertaken an ambitious plan of furnishing an IT corridor. Tidal Park forms an integral part of it. Tidel Park has a twelve -storied building which is quite spectacular to watch at. Apart from these numerous floors, the building has two basement areas, ground floor and also a parking ground. 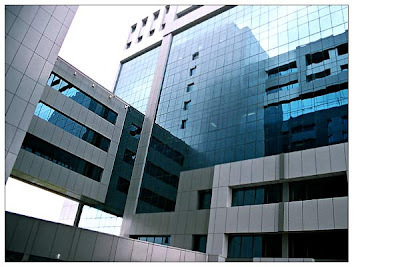 The ground floor incorporates `auditorium, food court, banks, TIDEL administrative office, BSNL, VSNL offices`. Several other junctures like ATMs, bank branches, retail outlets, embellishes the ground floor of Tidal Park. Besides there are exotic swimming pools, play grounds, fitness hub. Tidal Park is a home of numerous software, telecommunications, and BPO companies. Presently, Tidal Park has been a suitable site for organizing numerous conferences, namely, Blogcamp, Barcamp, WikiCamp and PodWorks. Cognizant Technology Solutions, HCL Technologies, Tata Consultancy Services Verizon Data Services India (P) Ltd, Satyam Computer Services are some big names in IT field have their offices with in the premises of Tidal Park. Other companies too have been built in the campus equipped with global amenities. These include Computer Associates, iNautix, Sify, Kumaran Systems, Electronic Data Systems, SCM Microsystems, Inc, Accenture Services Pvt Ltd., Chennai Delivery Center, Anantara Solutions Pvt Ltd., Lawrence and Associates India Pvt Ltd. In the Tidal Park campus, there is a free two-wheeler parking zone and the two-wheelers situate under the sultry heat of the city. Also there is a paid `two-wheeler` parking ground in the basement. It is a paid zone where an employee needs to pay Rs.300 every month. Mainly, four-wheelers and many large vehicles are parked. In the campus, an open car-parking center is formed where an employee needs to pay Rs.750 per month. Also a closed car parking area is formed in the basement area of Tidal Tree costing Rs.3000 per month for any employee. Thus the tidal Park management is applying strict measures in order to maintain the disciplines and integrity amongst the employees. They even also impose fines to employees if any one parks car in the wrong place. The food court in Tidal Park is of high standard. Both vegetarian and non-vegetarian food are available nicely dished out in decorative plates and utensils. 2. Verizon Data Services India (P) Ltd.
17. Financial software and Systems (P) Ltd.
18. California Software Co. Ltd (Calsoft, Chennai). nice blogspot.. update more post... we are vegetarian caterers catering services in chennai and caterers in tambaram , anna nagar chennai . Thanks for nice sharing. You can also find best place to set up your office in IT Park is getting easy in Wardha IT Park. The main object of Wardha IT Park is to provide best quality and cost effective space to the companies. For fruther Information about ITPark in India Visit us Today!! Are you think Make your party as a memorable one with delicious food and service? there are multiple numbers of Veg Catering Services in Chennai , where they can provide the best service in an affordable price.